The aortic valve controls blood flow between the left ventricle and the aorta, the artery that delivers oxygen-rich blood to the body. There are two main problems that can occur with the aortic valve: it can become hardened and narrowed (stenosis), or it can leak (regurgitation). The most common problem in the elderly is called age-related calcific degeneration, where the gradual buildup of calcium causes the valve to narrow. In younger patients a bicuspid valve (two leaflets instead of three) is a common cause. Symptoms of aortic stenosis include light-headedness, chest pain, shortness of breath and fatigue. Aortic valve replacement (AVR) is considered the most effective method of treating aortic valve diseases. For more information about standard AVR, please refer to this page. In the standard procedure, full sternum (breast bone) is fully divided to access the heart (called a sternotomy). In the minimally invasive approach (referred to as mini-AVR) a smaller incision can be used, for example only the top half of the sternum can be divided (called a hemi-sternotomy). This is usually a 2 – 3-inch vertical incision. Not everybody is suitable for a mini-AVR, so you should discuss this with your surgeon. For a while after the surgery, patients may feel worse than they did before surgery. This is normal and is usually related to the trauma of surgery, not necessarily to the functioning of the heart. Patients usually stay in the intensive care unit for 1 – 2 days for monitoring, and then in the nursing unit for 2 – 3 days. Two to three tubes stay in the chest to drain fluid from around the heart, which are usually removed 1 – 3 days after the surgery. Full recovery usually takes about 1 – 2 months. Most patients are able to drive in about 3 to 8 weeks after surgery. Your surgeon will provide specific guidelines for your recovery and return to work. As with all surgery, mini- is associated with some risks. During the operation the minimally invasive approach may not be possible, and a standard full-sternotomy would have to be performed. Other risks in the short-term after the operation include wound infection, bleeding, kidney injury, stroke, heart attack, arrhythmias and pacemaker implantation, and possibly death. Your surgeon will calculate these risks specific to you, and discuss them with you. 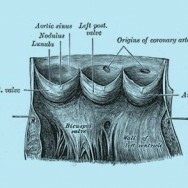 In the long-term the artificial valve may fail, and another operation may be required.